U.S. Fed Reserve Chairman seems to be puzzled over the combination of modest economic growth and rapid declines in unemployment in his country. 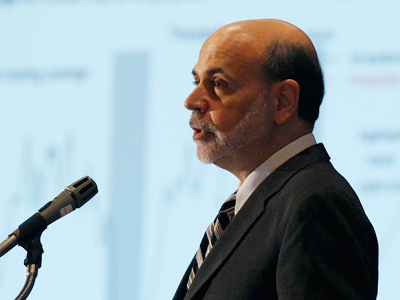 Ben Bernanke warns the U.S. job market is still weak despite efforts by the Federal Reserve. Recent job gains have cheered up hopes for the economy. Employers added an average of 245,000 jobs a month from December through February. The unemployment rate has fallen roughly a percentage point since summer, to 8.3%. Meanwhile, U.S. gross domestic product grew 3% in the fourth quarter, but is expected to have slowed to just below 2% in the first three months of this year. However, several months of strong hiring were obviously not enough to satisfy demand for jobs and the U.S. economy needs to grow more quickly if it is to produce enough jobs to bring down the unemployment rate. Bernanke also mentioned that much of the improvement in the U.S. labour market over the last three years, when the economy began emerging from the deepest recession in generations, was due to a decline in layoffs rather than a robust pick up in the number of employers taking on new workers. To achieve a more rapid recovery in the job market, hiring rates will need to return to more normal levels.